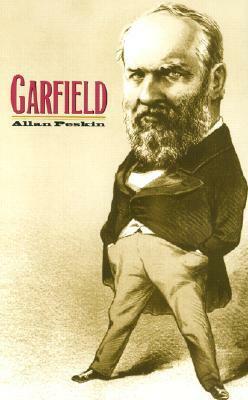 “Garfield: A Biography” by Allan Peskin was published in 1978 and was the first comprehensive biography of James A. Garfield in four decades. Ironically, this biography was followed shortly by the posthumous publication of Margaret Leech’s own study titled “The Garfield Orbit.” Peskin was a long-time professor of American history at Cleveland State University. Comprehensive in scope and liberally infused with penetrating character insight, Peskin’s biography of James Garfield is simply excellent. Despite its length (over 600 pages of text) it proves highly readable, extremely informative and very rarely tedious. What Peskin’s biography lacks in entertainment value (which isn’t much despite its age and heft) it more than makes up for with its excellent analysis of Garfield’s fascinating personality and life choices. Undoubtedly helpful to Peskin’s cause is that Garfield is an interesting, if inwardly-focused, subject in an era replete with oversized personalities and political friction. During the course of this chronological study Peskin carefully analyzes and dissects this multifaceted teacher, preacher and politician. The author’s overall opinion of Garfield is clearly favorable, but his study is remarkably well balanced and Peskin frequently takes his subject to task for a variety of failures and flaws. This biography is particularly interesting in its coverage of Garfield’s pre-presidency including his Civil War service and his nearly two decade Congressional career. Treatment of the Republican nominating convention (at which Garfield dramatically emerged as the party’s compromise nominee) and his presidency were solid but less exceptional. Lacking in Peskin’s biography is more complete coverage of Garfield’s family life – though the reader quickly suspects that Garfield’s life itself lacked meaningful work/family balance. In addition, the author rarely shakes his firm focus on Garfield so there was less explanation of Garfield’s actions within the context of his era than I would have liked. Nowhere is Peskin’s focus on Garfield more evident than during the Civil War years. Here Peskin follows Garfield’s every action during his military service but the major themes of the war itself are rarely made clear. Garfield could just as easily have been participating in a series of Indian skirmishes. And once Garfield leaves the battlefield for Congress the Civil War hardly seems to exist at all. Finally, Peskin’s biography undoubtedly runs longer than needed. Happily it is full of rich detail and acutely interesting observations and is almost never dull or exhausting. But it requires a significant investment of time by the reader for a president of only modest historical consequence. His term in office, after all, only lasted 200 days. Overall, “Garfield: A Life” is an extremely successful and worthwhile biography of a president unfamiliar to most Americans. Comprehensive in scope, thoughtful in its organization and penetrating in its insights, Allan Peskin’s biography of James Garfield is an extremely worthy presidential biography and deserves a far broader following than it currently enjoys. I concur with your review of this book, overall it was very well written and the pace was good. I also agree with you that Peskin did not include much of the historical backdrop of the times, so if one weren’t already familiar with the time period, this book won’t help much in terms of explaining the context. One thing in particular I liked about this book was that Peskin didn’t pull punches in criticizing Garfield when he messed up. Often biographers tend to be sympathetic to their subject, sometimes excessively so, defending or minimizing bone-headed decisions made by their subject. I find the result to be a better-balanced account, and more credible, especially when it comes to analysis. I’d say one of the more enjoyable bios I’ve read about an otherwise obscure president, and I thank you (again) for your review and recommendation. Your rating system seems to line up with my tastes, so I really look forward to those books you rate highly!